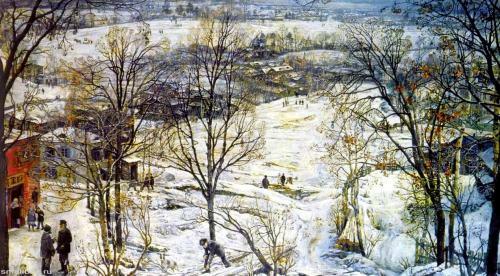 Snow cover and long evenings, hibernation of nature are inspired artists to work with cold colors. Watching winter paintings is surprise with how many shades can have white and blue. Quiet and lit forests, people in numerous layers of clothes, deep blue evenings are provide understanding of winter beauty. Lonely chimney sweeper obviously heads home after productive day. He provided safe warmth to villagers and now it is his time to enjoy fireplace in surrounding of family. This image represents anticipation of arriving home at cold winter evening. 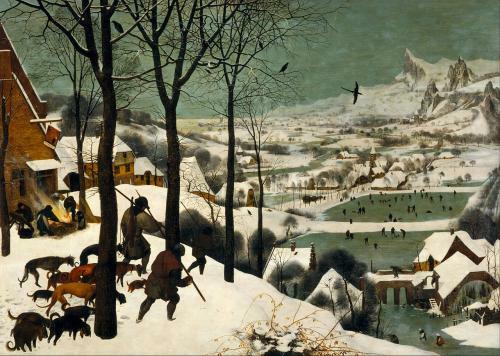 Most of everything in winter is about going home. 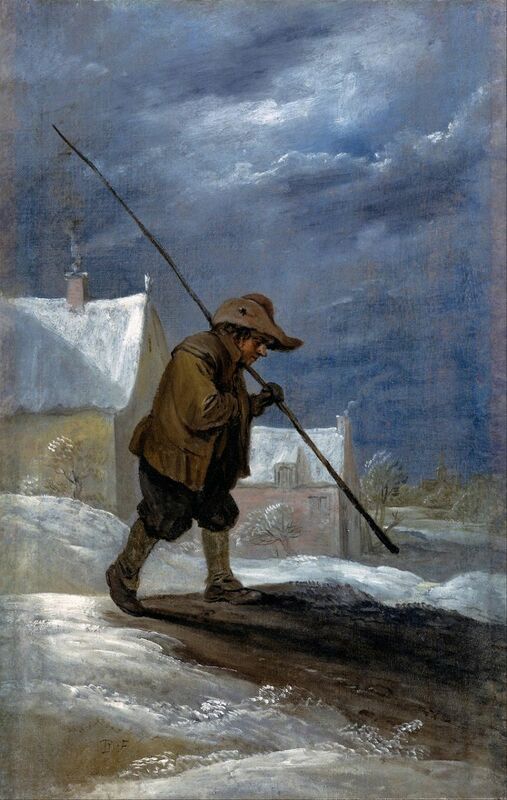 Artist depicted not very successful hunter which are heading home with their chilled thin dogs. Along with the detailed painting show numerous winter activities of Dutch people of those times. Dark foreground and light shades background are creating deep perspective and clear composition. 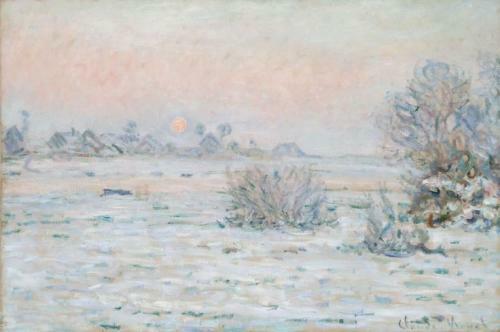 Impressionism means impression. This painting was made under impression of one of the harshest winters in Paris neighborhood. Everything except sun and its lights is depicted in broad stokes of cold shades. Bushes, river and hamlet on the other bench of Siena are captured by cold and only sunset can bring some warmth. 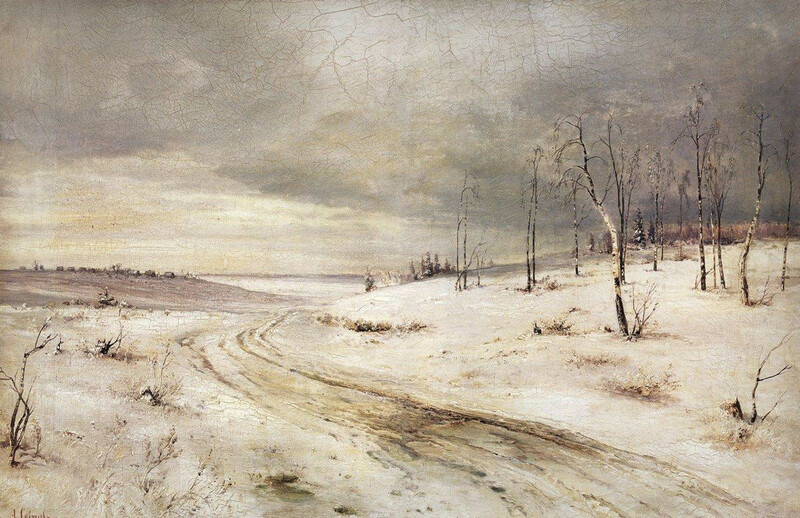 At the first glance this painting may seem naïve yet closer look shows that it depicting not just winter but space, not simple road but way. Colors seem to be poor but they are various just used in peculiar shades. This piece hides huge possibilities for analysis and continuous spectating. Zen is about total acceptation of everything that happens around. Irrational aspect of admiring of nature without self-awareness is the child’s Zen. 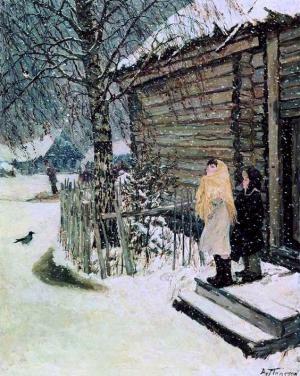 This piece depicts pure joy of simple at first glance manifestation of winter. It can even cause light melancholy of the past childhood. Contemporary looking canvas of court portraitist depicts dull, humid and dreary Russian winter. There’s no blizzard and no frost just remote village and lonely horse. Footprints on snow are obviously belongs to villager which is gathering brushwood to gain some warmth at this cold period. 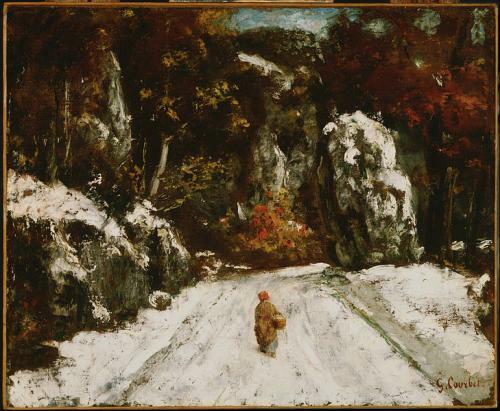 There’s not much snow on this canvas yet heavy rocks with snow hats and white road seem to be a trap for little figure on foreground. Confident dark strokes of rocks and trees are contrasts with a bit of blue sky and ocherous figure.